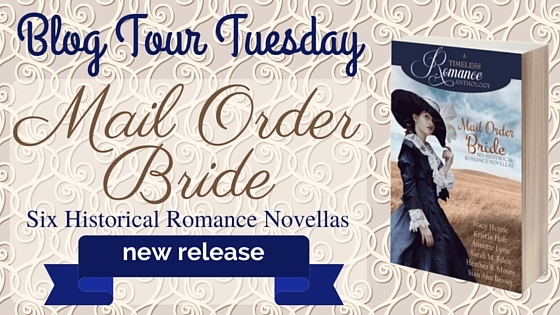 I'm pleased to present Mail Order Bride: A Timeless Romance Anthology. Six short novellas by six award-winning and bestselling authors. Six Mail Order Brides. Six proper (clean) Romances. Six happily-ever-afters. TODAY, February 9th, is release day for this title, book #16 in the Amazon #1 Bestselling Series in the Clean Romance Book Category. Each "clean"/wholesome/"sweet"/proper romance runs 15K words or less (about 50 pages)--a short novella set in the Old West, each involving a mail order bride. Contributing Authors: Stacy Henrie, Kristin Holt, Annette Lyon, Sarah M. Eden, Heather B. Moore, Siân Ann Bessey. INVITATION: Please join our Facebook Party, meet all six authors, mingle, have fun, take home books and other prizes. To RSVP and 'attend' this virtual gathering, see the event page here. In celebration of this anthology's release day, I'm giving away one free Kindle Edition of this title to one lucky winner! In order to qualify (and so your name can be in the drawing), all you need do is comment, below this blog post. 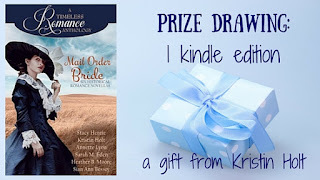 In your comment, I'd love to hear one reason why you like Mail Order Bride romances (because if you don't like them, why enter the drawing?). The drawing closes tonight (2-9-16) at midnight PST. The winner will be announced, in the comments following THIS blog post, on Wednesday, February 10th, by 9 AM PST. So make sure you keep reading and leave a comment at the end. This is a delightful set sure to touch readers' hearts. Note: the winner must be willing to privately communicate his/her email address to Kristin Holt via email so the prize may be gifted through Amazon.com. Heather B. Moore’s sweet novella AN INCONVENIENT BRIDE sees Carmela traveling from Boston to Colorado, eager to meet the man she’s been corresponding with and will soon marry. Her brother’s new marriage leaves little room for Carmela in her old life. Upon arrival in Leadville, she faces a rude awakening, and the only one who can understand her predicament is her fiance’s brother, Samuel. But Samuel can’t possibly help her out of an awkward situation, can he? It would be better for all if she returns immediately to Boston and pretends she never traveled to Colorado in the first place. This Mail Order Bride Collection is the 16th book within the A Timeless Romance Anthology series, published by Mirror Press. This title will be available at $4.99 across all major eBook retailers. Because ARC (advance review copies) were distributed by the authors to various reviewers in trade for honest reviews, Goodreads has 19 ratings and 17 reviews at the time of this blog post's writing. The average rating is currently 4.74 [where 4 stars means "I really liked it" and 5 stars translates to "It was amazing"]. My sincere thanks to all readers who post reviews and share their thoughts and insights with others. Book reviews are so valuable! At present, this title is available in eBook only. (kindle edition) of Mail Order Bride: A Timeless Romance Collection. All you need do is COMMENT, below, with a few words about what you enjoy most about Mail Order Bride stories. The drawing will CLOSE at midnight (2-9-16, PST) occur tomorrow morning (2-10-16) and posted prior to 9 AM PST. The winner will be notified in the same comments, so check back! You'll want to know if you won. (You might benefit from checking the "notify me" box to facilitate learning if you've won.) 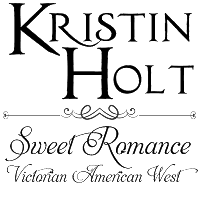 The winner must be willing to provide his/her email address by email to Kristin Holt in order to receive the kindle edition prize via email. I enjoy reading Mail Order Bride books because they are about women and men who stepped out in faith for a new life. I like the adventures and adjustments that happen in the characters lives. Thanks for stopping by and sharing your thoughts about mail order bride stories. I like them for the same reasons! It must have taken an incredible amount of faith and confidence to make such a huge change. I ,ove mail order Brides because the Bride is looking for an escape from her previous life to some extent and the man doesn't ever meet/get what he expects. Sometimes they work out but usually there is another man that is happy to take over. Oh, so true, Leslie! I'm smiling-- so many surprises stepped off the stage/train to meet the groom. =) And I love reading about reasons authors dream up for why the bride would leave "home" and set off for a better life. I love mail order bride novels because the heroine never knows who she will meet or what her new living situation will be. I love the mail order bride stories because they show how strong these women actually were; to adventure across the country, not knowing what they would find at the other end, is courage of the first order. How strong they had to be in spirit and physically. The journey was harder than I had ever imagined and the dangers were everywhere. Add the uncertainty waiting at the end of the journey. Was the man waiting, cruel, self centered, lazy, would he even be waiting for her. I do not think I could have done what these women had the courage to do. They possessed a courage of spirit I do not think we have today. Compared to those women, we are soft. How I agree! 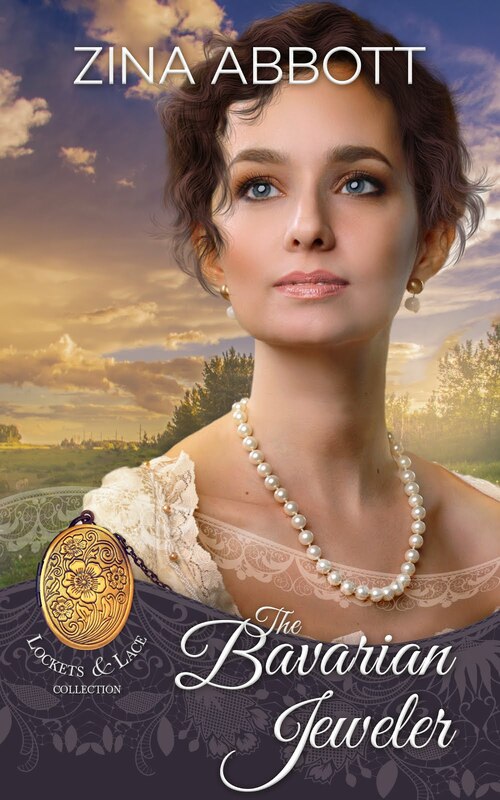 I think the strength in the nineteenth century women (particularly in those who chose to become mail order brides) is why I'm so drawn to the era and the niche within historical romance... as a reader and as a writer. It's fascinating how much has changed from then 'til now. Women can own property, stand up for themselves, so many things women couldn't then... but we're also so much softer in so many ways--it's true! Thanks for sharing your insights and observations. I appreciate you stopping by! I have a total fascination with mail-order bride books, they are my #1 favorite genre and I even have my baby sister hooked on them. I love historical based books and most Mail-Order Bride stories have the young woman leaving the east and traveling westward to the UNKNOWN to make a life. To think of leaving everyone you know and going to marry a stranger (a few letters exchanged) and making a life in a rugged land. These women helped settle the west. As a genealogist, I have never encountered one of my relatives actually become a mail-order bride. The closest is my paternal grandparents who met on a Saturday, her grandparents kicked her out for going to the fair with him on Sunday, he took her home to his parents and then they married on Monday and only knew each other 3 days, were married over 50 years and learned to love each other. Thank you so much for stopping by. I completely adore the story of your grandparents and their meeting, marriage, and lengthy love story. What a beautiful tale! Knowing about family that came before us is so valuable, and like you, I'm fascinated with my progenitors' love stories. One set of my great-grandparents had an arranged marriage in Europe and were blissfully happy... through poverty, immigration to the United States, loss of children to childhood illnesses, and so much more. Thank you for sharing your reasons for adoring MOB stories. I couldn't agree more! I love Mail Order Brides Because I love to read about how these brave woman left there home for parts unknown and to marriage a complete stranger and put there lives in there hands and learning to live and work together. I don't read all mail order bride stories, only those that are well written and seeing who authored this book, I know these stories will qualify. I love books that show me what love was like in the nineteenth century, how real love never changes and we can all hope to find a very special love of our own. I think there is something pretty special about nineteenth century love: commitment that lasts, determination to survive and triumph over all odds, and the truth that no matter the decade, love is love. Thank you, Doris/Angela, for sharing your good wishes, cheering me and my fellow authors on. I love anthologies too. Especially 15K shorts like this (or so) as I can read one per hour (bedtime stories!) and find introductions to authors I've not yet read. I like these stories because I want to see how the author finishes the story! Did they fall in love or was it hate at first sight.. did it work out or did she marry his brother??? so many ways to go :) And so many in this book! ! 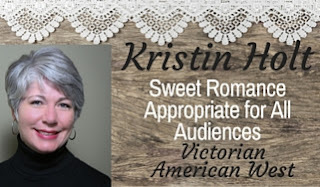 Thank you for stopping by, reading about the Mail Order Bride Collection: A Timeless Romance Anthology, and sharing your interest and passion for the genre. =) I'm chuckling because I've asked the very same questions! It is fun to see the variance from one author's work to another. I enjoy reading Mail order brides stories, because you never know what will happen. These women, for whatever reason, choose to start a new life weather it be to escape a bad situation, or for a new adventure. To me, I feel they are braver than me to go far from home to marry someone they just met. Looking forward to to reading this collection. Love these old fashioned romances with good old fashioned values! Thank you so much for stopping by Sweet Americana Sweethearts. You'll be so pleased with this compilation. Truly sweet, wholesome, "proper" romances with old fashioned values in characters' behavior and language, book content, story premises, and more. When I read the whole set I was in awe--and so appreciative--of the same elements in the other authors' work. I have enjoyed all the Timeless Anthologies, so even though I haven't read much about mail order brides before, I'm know I will love it! thank you! You're very right-- the Timeless Romance Anthologies have remained very consistent in quality, value, and always include many of the best in the niches represented. I do hope your exposure to these Mail Order Bride stories will be a good experience. I enjoy MOB romance for the hope that the brides have. They are often from unfortunate situations and this is a last resort. They look to this as an answer and often have to pull up their boot strings and be strong. Although they are fiction, these stories remind women to be strong, to have hope and to control your destiny. What a great message! I am very much looking forward to reading these!! So good to see you here at Sweet Americana Sweethearts. Thank you so much for visiting and leaving a comment. I agree-- fiction often reflects the wishes and sentiments of real people, and as readers, the themes feed our desires to be strong, hold onto hope, take chances, control one's own destiny, have faith (as applicable), and maximize one's own happiness. Hi Kristin, thanks for reminding me of this second opportunity. I love many things about the mail order bride's books. For one thing, I love the real history many wonderful authors like yourself put into each book after painstaking research. Since I write TV scripts; and historical scripts are my favorite, I know how difficult it is to find such details that are effortlessly woven into great plots with interesting characters. I just discovered this amazing blog of yours where you post quite a bit about your research. I think you are genius in finding such details. I know that I have trouble finding the details that I often want or need. I don't think I know how to use the computer well enough to know certain tricks to finding out more about the details of whatever I am researching. I also often find many details that contradict themselves in certain areas of research. I think it is due to the subject. For example, I am reasearching a particular Native American chief of an important tribe. There's quite a bit on him, but much of it is contradictory. I finally found out that the chief in question didn't know about certain aspects of his early life such as where and what year he was born, so he often gave two different stories about his birth in two different places and years. I am also looking for specific information about how wounds were traeated and how much they knew about surgical techniques in the small communities in Texas and other Western states and territories right after the Civil War. I thought this would be an easy topic to research, but it really hasn't been very easy to get nitty gritty details. I love the history of the entire Western Movement and Cowboy Era, however, I know that sometimes it becomes necessary to move dates of some rather major well-known historical events, etc. in order to include them in the time line of my story. I think most historical authors have that same problem. I would love to read about your opinions in your blog concerning these things. Most of all,I love mail order bride books because I love reading the circumstances of each woman who feels this is their only choice, which it is most of the time back then, and I really feel for the predicaments they are in. I feel the hope that they have in their futures turning out well, and I admire their courage born out of desperation to go forward into such unknown and dangerous situations. Plus, while I do love gritty realism, I also adore a wonderful romance and happy ending. What a pleasure to have you stop in today-- thank you! I appreciate, very much, your kind compliments about my own blog (http://www.kristinholt.com/archives/category/articles). I'm so glad you find the content there of help and useful in your own research. I personally love to dig in, see what information is available online, in real paper books, in personal interviews (I'm lucky to have a living grandmother age 95), and more. You're so right that often information contradicts itself. BTW, your book sounds so interesting because it is about a Doctor who wants a woman who has knowledge of medicine but ends up with a "midwife" who knows way more than he ever imagined. I'd love to know where you found some of your reaseach about the medicine if that time. I think my story in Texas which includes a brother and sister who are not doctors, but grew up with a father who is a famous surgeon from which they learned a great deal from is set in the the days after the Civil War in 1867. I'd be happy to share my research sources. Please-- do email me through my website. 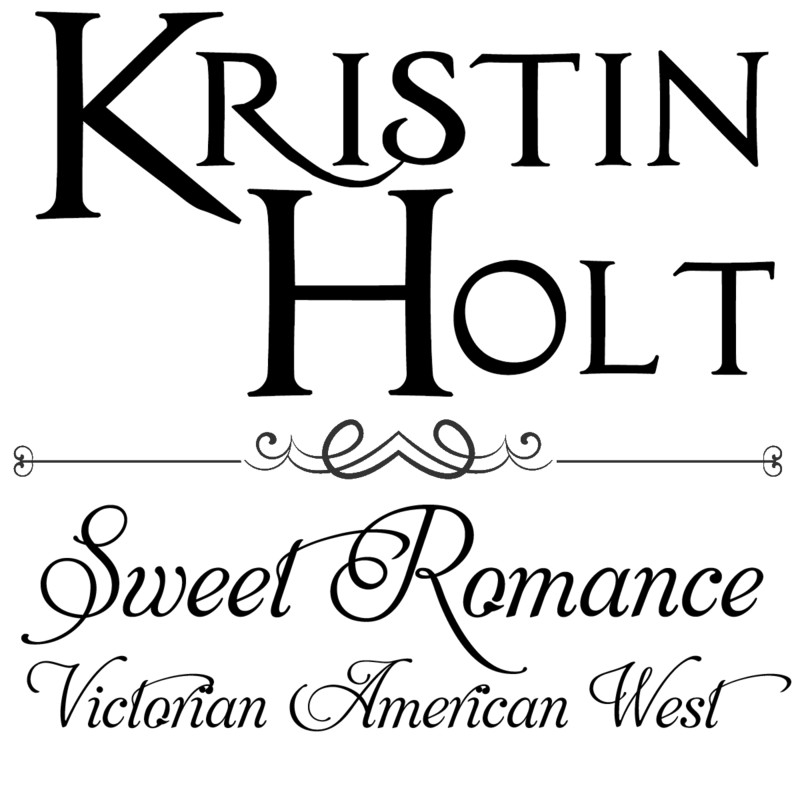 You'll find my contact page on www.KristinHolt.com. Let's start a dialog about how and where I searched for the medical information. Some of it comes simply from my life as a Registered Nurse in Labor and Delivery. I love the Mail Order Bride books because I've always been interested in the subject. I love the fact that those women had the faith and the courage to take the chance on making their life better and interesting. How much faith would you really have to have to take that chance to put your trust in a man that you have never seen or know how you will be treated. I love the books. You're so right. Women in the era were at such mercy to the men in their lives (fathers, brothers, guardians, husbands)... and to hand everything over to a man they didn't really know had to be a huge act of faith. They are sweet, sassy, and clean. Thank you for visiting Sweet Americana Sweethearts and contributing to the conversation. You're very right! Most are sweet, sassy, and clean. This set certainly is! 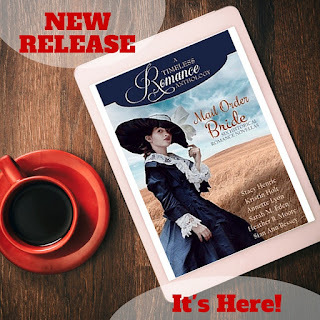 I've never read Mail Order Bride novels, but I will be because I read all of the Timeless Romance Anthologies and this one looks really entertaining! I love to read the Mail Order Bride books because it is a great escape into a time that is fascinating to me! Tickled to see you here! Thanks for stopping by and giving voice to what I wholeheartedly agree MOB (mail order bride) books to be... an escape! It's wonderful to live for a few hours in a time in the past, imagining life and adventures and experiences we don't have today. Shouldn't reading fiction always be an escape? I love reading the Mail Order Bride books because they're written by my favorite authors. One of which said (rough quote) the best part about a marriage of convienance is that all that is left is for them to fall in love. Which is true, or not, of mail order brides. Well said! Whoever's quite that is, they nailed it. Isn't there something just 'right' about a husband falling in love with his wife? And a wife falling for her husband? It's out of the ordinary anymore for love to come after marriage, and reading about it can be a fond adventure. Kathy, please email me: Kristin (at) KristinHolt (dot) com so I'll have your email address to gift you a copy through Amazon.com (your email addy is all they require in order to be able to deliver your book. If you prefer a Nook edition, please say so in your email to me. Thank you, so very much, EVERYONE, for your interest, your support of this new anthology, and your genuine feedback about WHY you like Mail Order Bride books so much. TODAY you have the opportunity (TWICE MORE!) to win a gift copy of this $4.99 anthology. (2-10-16) A facebook party from 1 to 3 PM (Mountain Time Zone) here: https://www.facebook.com/events/2086866408218626/ It starts in about six hours from my posting. I hope you'll join us, whether you're interested in this book title as a prize or are interested in visiting with the authors of the anthology OR perhaps you're interested in the many other books by these authors that will be given as prizes. Hope to see YOU there! Thank you very much. I am so excited and I have shared the amazon buy link on my Facebook wall. I am on the phone telling my sister all about it.